We’ve got three ex pros on the line for this week’s edition of 3 on 3. Let’s hit it. 1. Eli Tomac and Ken Roczen are making waves on big bikes. Has a changing of the guard already happened? David Pingree: It’s happening right now. I agree that Ryan Villopoto is still the man to beat, but he isn’t racing and nobody knows if he will again. RV had his hands full this year in supercross with Roczen, and I don’t see Ken or Eli slowing down coming into 2015. It will be interesting to see how it all plays out, but we are in the midst of the change right now. Jason Thomas: I don't think it has happened quite yet, no. I still think that Ryan Villopoto is the class of the field if, and when he returns. Ryan Dungey has also been right there in every series up until this point as well. I can certainly see the writing on the wall, but until they establish that they are the favorites when entering a series, it is still the Ryans’ title to lose. To further that point, the true veterans of the series, James Stewart and Chad Reed, had renaissance years in supercross just a few short months ago. To say that Tomac and Roczen have taken over is a bit premature but certainly on the horizon. Denny Stephenson: I don't know if it has "officially" happened, but it’s dang close. Ithink we all knew what these two were capable of, but I personally didn't realize they would do it in their rookie seasons. We talked about this on PulpMX before the season started, and I really thought Roczen would hit the wall before the season was over due to it being his first full season of 450s indoors and out. But, has he hit the wall? Eight motos left. And Tomac? For him to come in after missing the beginning of the season and ride like this is just incredible. Then again he is Johnny T's boy, and his work ethic has never been questioned. Look at Tomac on the bike, too. He’s tall, strong, and an absolute beast on that 450. So, going back to the beginning, yes, the changing of the guard with these two has arrived. 2. Other than Jeremy Martin, Cooper Webb, and Blake Baggett—who have won all of the overalls—what other 250 rider has impressed you this year? JT: Jason Anderson has impressed me. His strong rides early in the season were eye opening but were followed by a few struggles. His past three races, however, have been back on point. He won his first ever moto at Budds Creek and has not only shown blazing speed in qualifying but also the ability to persevere when things aren't ideal. For a rider that has been just so-so in past years, the 2014 season has been an overwhelming success. Stephenson: I gotta be honest, Pourcel’s speed has impressed me. I didn’t expect to see him winning the Oakley Bomb each week and pulling those holeshots. However, I did anticipate him fading a bit as he has. Difficult to take that much time away and run that balls to the wall at the 250-pace of the kids. I also like Jason Anderson. Loved watching his style on the bike in SX and was looking for him to get his first win this season. He got a moto win at Budds Creek, and if he can get another start up front, I'm predicting an overall before the end of the year. 3. 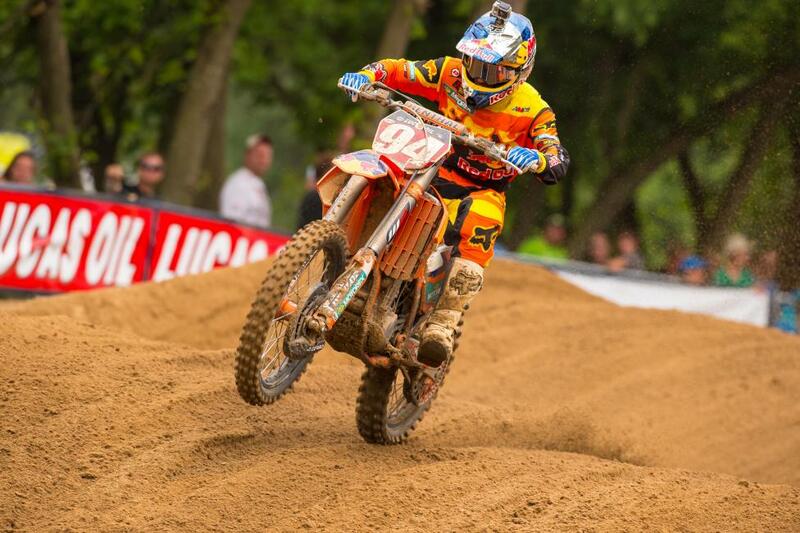 With Tomac now in the mix, is that going to help or hurt Dungey in the quest to make up ground on Roczen? Ping: Eli’s arrival could help or hurt Dungey depending on whether or not Dungey can win. At this point nothing else will do. Even with Eli there, and even if he can stay between the two Red Bull KTM riders, the 24-point swing won’t be easy to close. In that scenario, Ryan will have to win every moto at Washougal, Unadilla and the first moto in Indiana to get the red plate. How realistic is that? I think you have a better chance of getting a Jack and Coke at the concession stands at the Miller Motorsports Park finale. Still, anything can happen, and all it will take is one bad moto for Roczen to blow this thing open again. JT: I think it can only help. Sure, it can cost him points if he allows Tomac to finish in between them, but in reality, he is already behind Roczen in points as it sits anyway. His best chance to win this title is to capitalize on Roczen's recent struggles and use Tomac and Canard to widen the gap. If he can figure out a way to string a few wins together and Roczen continues to suffer late in the motos, having Tomac and Canard in between can make the ultimate difference. The real key to this whole dynamic is Dungey himself. He has to find a way to win. If he can't, the rest is irrelevant. 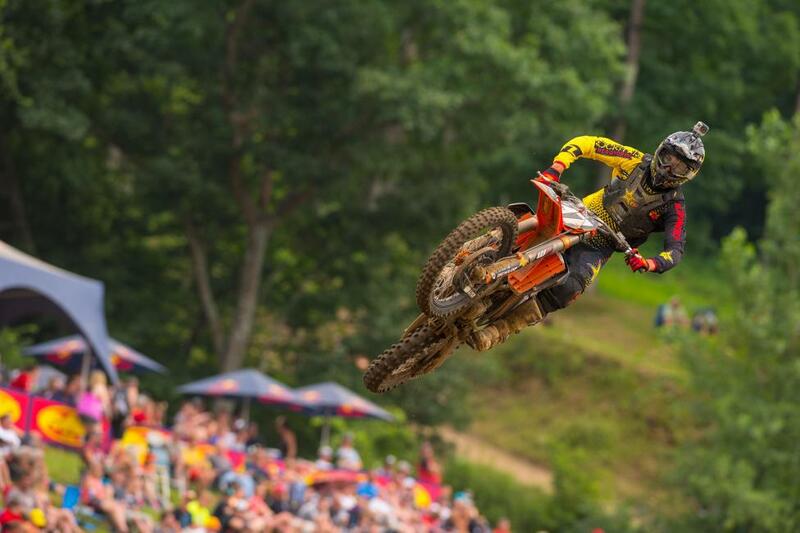 Stephenson: I think that question was answered at Millville: they have to win. Without Tomac, Dungey makes up an extra point on Roczen in the second moto, and Roczen makes up an extra point on Dungey in moto one—remember there’s an extra point between first and second as opposed to second and third. And if either had beaten Tomac, it would have been huge. Moto wins are plus-3 points, whereas it’s a 2-point difference between the rest of the top five. If Dungey can win and get Tomac between himself and Roczen, that’s an even bigger points swing. At this point, with eight motos left and a 24-point advantage for Ken, it will be a game of nickels and pennies until the final round.